As you know, the EPA wants to lower the renewable fuel standard. 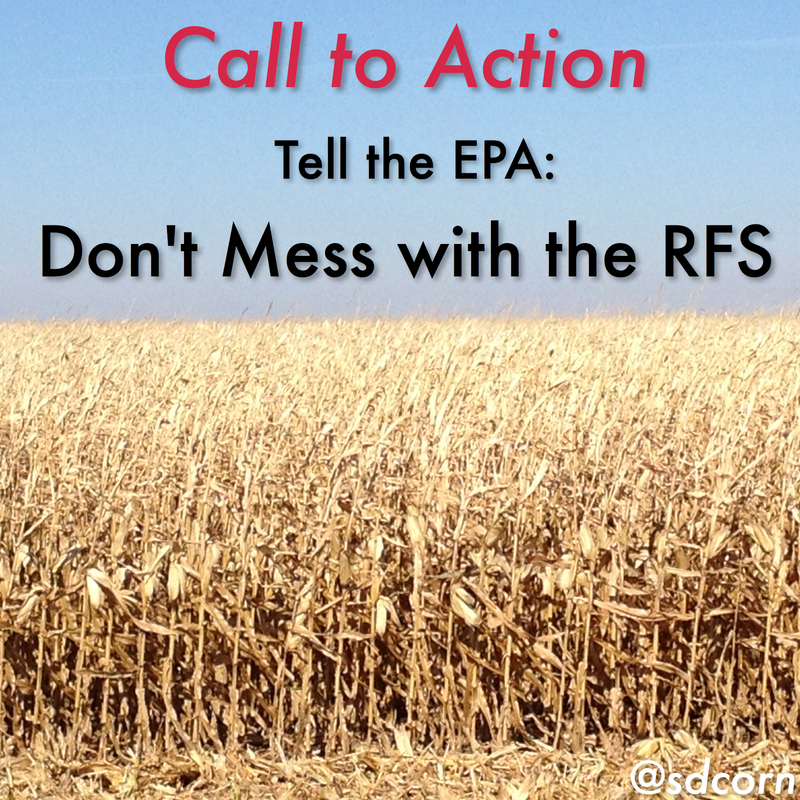 It’s time for South Dakota’s corn farmers and others to speak out and let the EPA know that’s a mistake. We have written a letter to the EPA. All you have to do is click on this link and if you agree with what we say, just add your name and address and hit the send key. It’s simple to do and takes just seconds. Make your voice known. Please act now. The public comment period on the proposed changes to the RFS is now open until January 28th and your action is vital to the protection of this successful policy. Take a stand against BIG OIL. Take a stand in support of American jobs, lower gas prices, cleaner air and American-made fuels. If you have any questions, please contact the South Dakota Corn Growers office at 605-334-0100. This entry was posted in News and tagged corn, EPA, ethanol, farmer, RFS, South Dakota.